Majestic Nights is an episodic action-adventure-thriller set in an alternate 1980s where all conspiracy theories, past and present are True. You play as Cardholder: an intelligence operative who may or may not have been present at or even responsible for many of the biggest conspiracy events in history; and Cal, a humble Private Investigator whose own past is shrouded in secrets unknown even to herself. 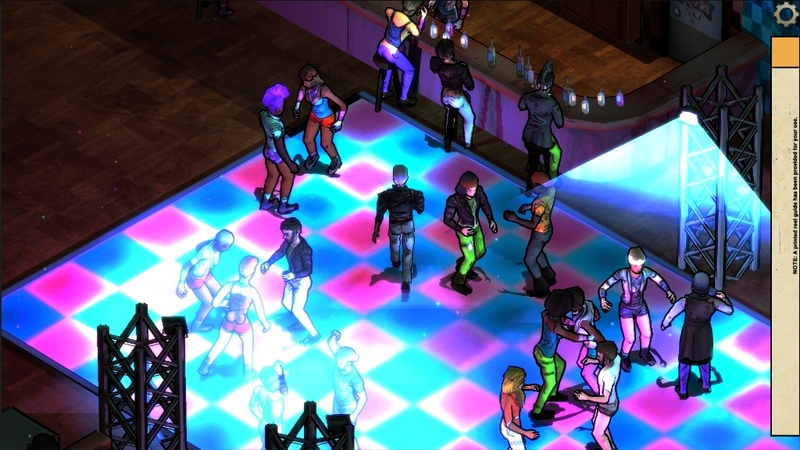 With fast, light mechanics, the game has been developed to engross players in a shadowy world of conspiracy with an over-the-top 1980s aesthetic. Players will use wits, stealth and sometimes even a little force to investigate, explore, and acquire ever more clues for their big string-covered wall of conspiracies. Season One of Majestic Nights takes place over six chapters, which work as a complete story or as standalone experiences. ‘Chapter Zero’, a prologue to the series, will be made available for free. Each subsequent chapter of the core series will carry a small price, or players can purchase a season pass.